For the sake of completeness, I should mention that, while the poor condition of the facilities at FHS was the overriding argument for the school's closure, the Paul Cuffee charter school's high school has moved into the building. I don't really think that was the grand conspiracy all along, and, to be sure, the building is in lousy shape, but for better or worse, it is good enough for a charter. 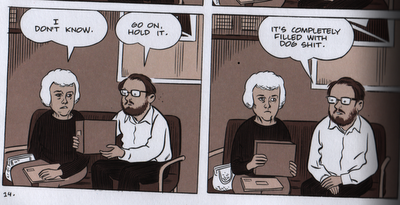 Image from Wilson, by Dan Clowes.